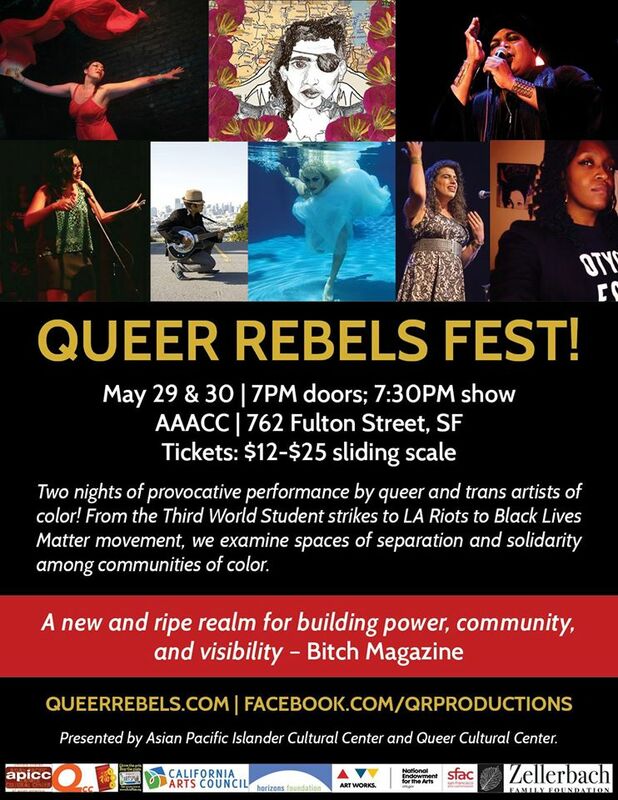 JOIN ME FOR QUEER REBELS FEST!! Saturday Night May 30th! I’ve been a fan of QUEER REBELS for a long time, and I’m very very excited to get to be a part of this performance festival. This show will be an amazing night of Queer and o Trans People of Color!! Go here to check out the FB INVITE! TONIGHT! Friday May 29th I Get To Tell a Story with RISK! and BAWDY STORYTELLING!! Okay so there’s this very famous podcast called RISK! If you don’t know how they are google them! Listen to the show! And now tonight they are teaming up with BAWDY STORYTELLING! Basically my favorite storytelling show. I’M ONE OF THE STORYTELLERS!! Kevin Allison & Dixie De La Tour are together again, presenting true stories onstage for TWO laugh-filled nights in San Francisco! 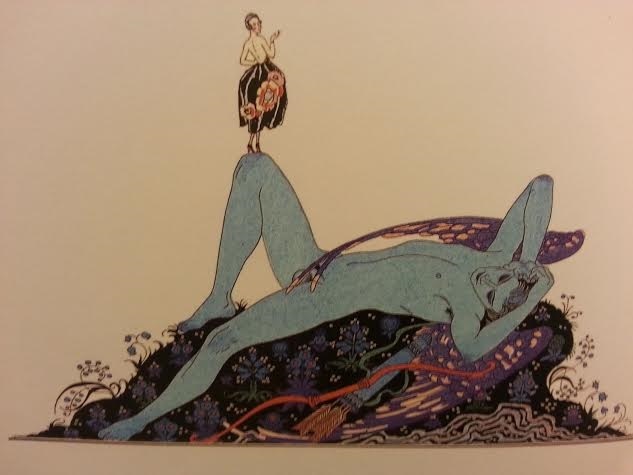 Drunk in a Midnight Choir an awesome online literary journal has published four of my poems. I am very happy to join their ranks. 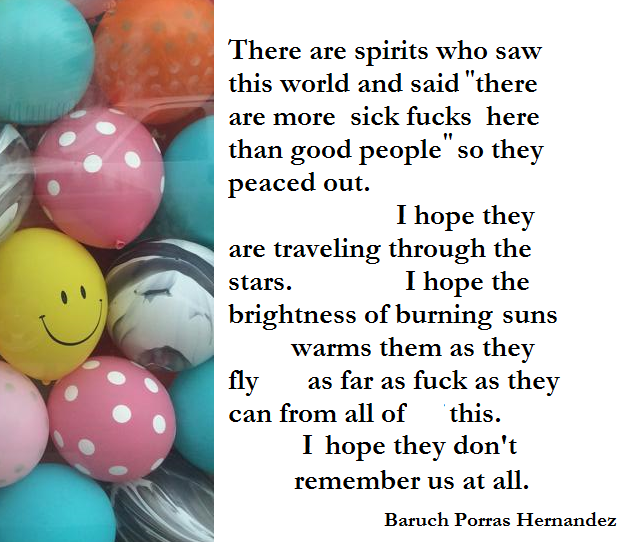 Check them out here: FOUR POEMS BY BARUCH PORRAS HERNANDEZ AT DRUNK IN A MIDNIGHT CHOIR! JOIN ME AT THE GETLIT MUSIC AND POETRY SHOW! HEY FOLKS, tonight I will be a part of this amazing event! Please join me for NOMADIC PRESS’ GET LIT! MUSIC AND POETRY SHOW! Poets (17 and counting!) will read NEVER-BEFORE-READ material (rough drafts/debuts) within a three-minute time limit. The night will kick off with music by the ever-so-talented Azuah and will move along at a brisk clip with the help of DJ Slimm Buick. Beer and good times will abound! All ages are welcome, though profanity will be present. Featured lineup of poets (with more to come as they are confirmed): Paul Corman-Roberts, Mk Chavez, Cassandra Dallett, Vernon Keeve III, Sarah Kobrinsky, Alexandra Naughton, Annelyse Gelman, Red O’Hare, Joy Elán Sledge, Amos White, Baruch Porras-Hernandez, Rohan DaCosta, Caleb Zachary Matthews, Maw Shein Win, Gina Goldblatt, Zephir O’Meara, Missy Church, AND MORE! for more info, go to their fb invite HERE!